Listening to Mark Lee you’ll often learn how to apply one or more of the 7 key success strategies that top professionals adopt to win more work and to get more recommendations and referrals. You’ll learn how to get more value from your marketing and how to boost the benefits you get from your networking both on and offline. Mark addresses the need for effective business messaging and also how to have more useful and memorable conversations with clients, contacts and connections. He also highlights other key influential principles of relationship building and shares an easy to recall summary. This means you can keep the key points in mind and decide on which of the 7 principles you will focus. In his popular, entertaining and memorable talks Mark shares simple analogies to help stress many of his key messages. Unlike other speakers, whose talks may be enjoyable but are also forgettable, Mark ensures that his audiences can recall his advice and so will remember how to STAND OUT from the pack long into the future. Mark Lee is an accomplished and entertaining professional speaker, workshop leader and facilitator. He is equally at home presenting keynote talks at conferences, seminars and in-house away days as well as leading interactive workshops. Mark’s latest talks are about the future for accountants and the action you can take to ensure you are well prepared and able to evolve appropriately. Popular talks are summarised below. Mark’s sessions are always popular as he has built a formidable reputation. He may be controversial but he is always enthusiastic and positive. Unlike some other speakers he is not ‘in your face’ or aggressive and never tells accountants what they MUST do differently. Instead he encourages them to choose solutions and ideas that will work for them personally. You can book Mark to present his entertaining talks in-house for your firm or for wider audiences of accountants, bookkeepers and tax advisers. Over the years Mark has been commended for his keynote speeches and talks at conferences for professional bodies, associations, banks and professional firms. Hope alone will not enable any professional to build their careers or to grow their client base. Neither will networking, marketing or social media. Not unless people remember, refer and recommend or recruit you for the type of work you want, for the type of clients you want and for the fees you want. How easy do you make it for anyone to do this? Adapting his talks to suit different audiences Mark Lee shares dozens of ideas that will help you to STAND OUT from others in your profession in a positive and relevant way. Yes, some professionals like you may choose to do this in a brash way but you can learn how to get even better outcomes in ways that suit you and your personality. There is no need to be tacky, loud, arrogant or aggressive. Beyond the titles below, you may also have heard Mark speak on a number of other topics or you have some other business development related topic in mind. Please get in touch by phone or email, (see top line of this website) as Mark’s repertoire is always developing. 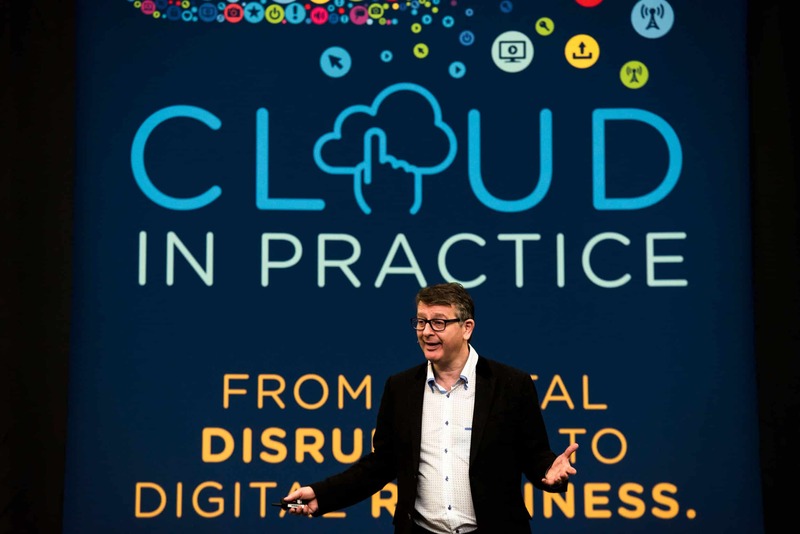 Where appropriate his talks include reference to his 7 point STAND OUT framework – for example in talks focused around MTD, Linkedin, social media and other topics chosen by conference organisers. What Makes Mark Lee STAND OUT? Mark is regularly described as an entertaining, engaging and inspirational presenter who evidently has a lasting impact. By profession Mark is a chartered accountant but he has never fitted the archetypal stereotype. In the early 1990s Accountancy Age magazine regularly pictured him and referenced his love of magic tricks in their back cover features on unconventional accountants. 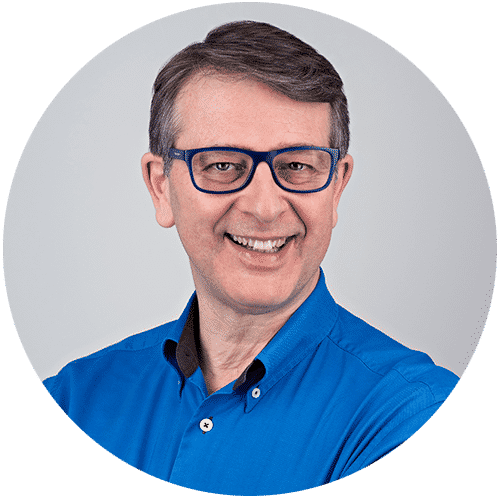 He has since been described as ‘the most networked accountant in the UK’ and is regularly ranked as one of the most influential speakers and commentators online. For many years he was one of the ‘go to’ accountancy personalities when the media wanted credible and independent quotes or interviews. From the start of this century Mark has been invited to speak at dozens of prestigious conferences and seminars for accountants and other professionals. In 2006 he chose to move away from being a tax adviser, preferring instead to focus only on those elements of his career he had most enjoyed over the years – speaking, writing, mentoring and facilitating. As his bookmark shaped business cards note, Mark is also a ‘debunker’ keen to dispel myths, misconceptions and hype related to those topics of which he has a deep knowledge and interest. We all know about the rise of cloud accounting, the move to commoditise compliance work and the likely impact of MTD. But what is there a little further around the corner? What are the key changes and developments that we need to start preparing for in the coming 12 months if we want to compete successfully, grow our practices or even remain in practice? Some of the topics addressed in this entertaining talk are exciting and liberating. Some are scary and some could mean bigger changes than ever before in the way we run our accountancy practices, service our clients and earn our living. The key to achieving greater success as an accountant typically requires you to be considered more influential and credible than the others. At the same time you need to make it easy for people to Remember you, to Refer you and to Recommend you (3Rs); more so than your competitors. This is equally true for your face to face interactions and for those you have online too. Mark’s keynote talk is built around his easy to recall framework of 7 simple success strategies. The more of these you choose to apply the more likely you are to win more work and to be remembered, referred and recommended. But the choice is yours. Unlike some speakers Mark doesn’t demand that everyone follows the same route to success or that the same techniques will work for everyone. Love it or loathe it, social media isn’t going away. On the one hand it is wildly misunderstood. On the other hand it is vastly over hyped. Professional firms can choose to ignore social media but, in so doing, will probably miss out on various related benefits and opportunities. Equally, it is all too easy to invest time and money that is never going to deliver the desired objectives. Mark has presented this session as a keynote talk and as a longer interactive workshop at firms’ away days. He started using social media in 2006. By 2011 Accountancy Age described him as one of the most socially networked accountants. He is now consistently one of the highest ranked online influencers of the accountancy profession. However he remains cynical about the way that some people hype up the benefits of social media. As an independent user and commentator he has no agenda beyond ensuring that his clients have clear achievable commercial objectives. how to avoid wasting time and money on social media activity. Linkedin is quite distinct from other forms of so-called ‘social media’. Over half of the UK business population has a profile registered on Linkedin, so clearly it is no longer a focus only for recruiters, job hunters and spammers. It has enormous potential value for lead generation and related business activities. Accountants don’t need to be Linkedin experts to get more business through this amazing online business networking facility. Whether you like it or not, it’s another ‘shop window’ for your wares and enables your prospects to compare you with your peers. It’s also a simple route to finding more prospects and business. Mark is recognised as one of the highest ranked online influencers in the accountancy profession. He has been an active user of Linkedin for many years and now has over 9,500 connections on the site. He rarely connects with complete strangers, rarely receives spam and rarely gets ignored on the site. He has received over 100 recommendations and many hundreds of endorsements on his profile. Loads more practical tips and advice borne of experience rather than hype. This session is always content rich, practical and commercial. Unlike some Linkedin experts who present generic advice Mark always tailors his talks and masterclasses to specific audiences. Alongside his positive advice and enthusiasm he also debunks myths, hype and misunderstandings – especially as regards social media and Linkedin. 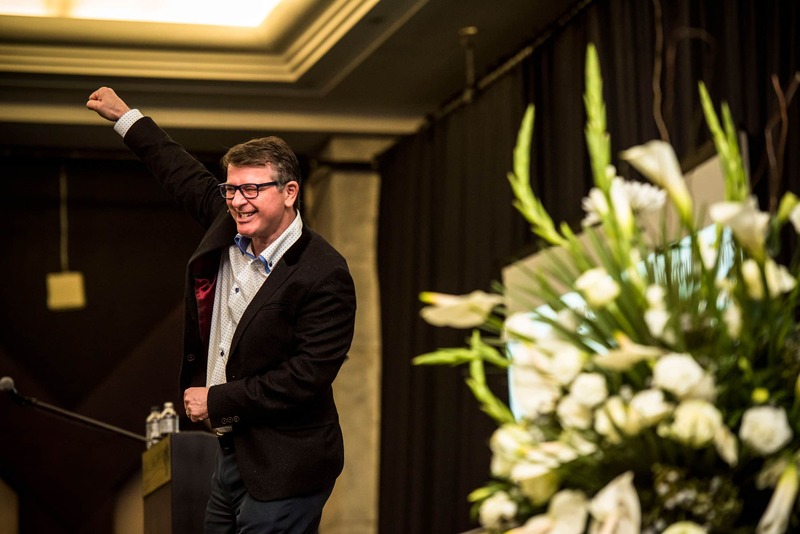 If you are looking for an energetic, engaging and entertaining speaker – I would certainly recommend Mark Lee. Mark facilitated and presented at our European Conference and aside from delivering on the day, he took the time and care to understand our organisation, our delegates and tailored his delivery accordingly. Mark Lee strode onto the stage at our ICPA Conference with a huge smile, a few props and a welter of help and advice to impart to the delegates. At the end the smiles were on the faces of the delegates, myself included, because they had just enjoyed a thought provoking, intelligent and entertaining seminar from a man frankly at the top of his game. I watched as the audience laughed whilst making copious notes and at no time were they talked down to or indeed sold to. Accountancy at the small practice level can be a solitary profession and accountants are notoriously shy and introverted yet Mark was able to get them involved and vocal which could well be his greatest achievement. I’m glad I asked Mark to appear and I’m glad Mark agreed to appear and much more importantly the delegates were glad that Mark came.